How do you kill time on your daily commute? For many California motorists, listening to music, an audiobook, or the radio is the only way to stay sane on our state’s highways. But if you ride on a bicycle or motorcycle – or in a car without a working or adequate sound system – you may want to grab some headphones or earbuds to make the most of your travel time. Before you do, review the local laws to ensure you won’t be committing a crime. It’s 2016 – and yes, commuting with earbuds is illegal. The new ordinance finally caught up to the smartphone craze with legislation that prohibits wearing headphones or earplugs in a car. The new law specifically addresses earbuds, which can’t be worn in, on, or around one’s ears, regardless of whether any audio is playing. There’s one exception to this litigation: a driver, cyclist, or biker may have one bud in his or her ear and legally operate his or her vehicle. Failing to follow this law can result in a fine up to $160. While this may seem nitpicky, there are several reasons this ruling is so important. You need to hear clearly. The roadway is a noisy place, and drivers must stay alert, which includes paying attention to all sounds. In fact, California laws even regulate how loudly you may play the music in your car – though enforcement of this legislation is inconsistent. Regardless, drowning out important audio cues (like the sirens on emergency vehicles, other cars honking to warn you of a problem, even the dinging of a train crossing) can lead to catastrophic accidents and costly litigation. You need to drive without distractions. Though it can be boring to drive on long stretches of road or arduous being stuck in bumper-to-bumper traffic, all drivers need to commit their attention to the roadway at all times. Texting and taking phone calls are obvious examples of problem behaviors, but so is anything else that occupies your mind when you need to be paying attention. Distracted driving is a major factor in a large number of car accidents in California and this includes fiddling with earbuds or headphones. Of course, just because a law is important doesn’t mean everyone will follow it. You probably see dozens of drivers looking down at their phones, juggling fast food, or putting on makeup while they’re on the road. This is dangerous, and if you’re involved in an incident because of such negligence, proceed cautiously and speak with a skilled car accident attorney to protect your rights. 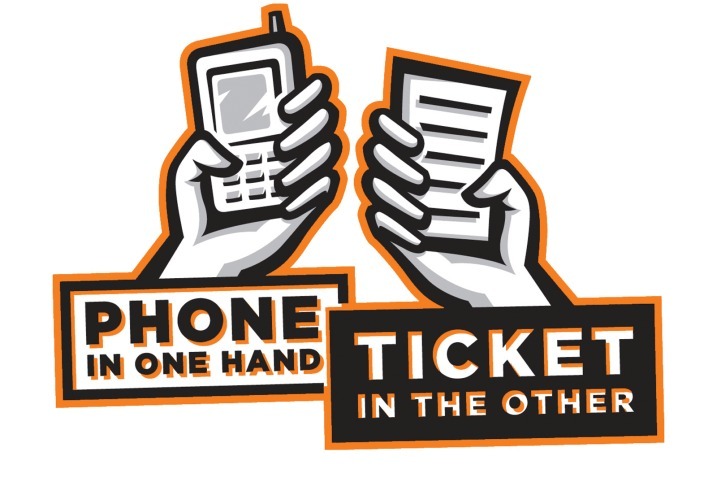 Distracted driving contributes to countless accidents every year. Unfortunately, the percentage of fault in an accident may be assigned unfairly if a plaintiff lacks the evidence to prove a distraction contributed to the event. Alternatively, another driver may try to prove you were distracted by, for example, claiming you were driving with earbuds when you were only wearing one. The waters are notably murky here, which is why it’s so important to find sufficient legal representation in California.